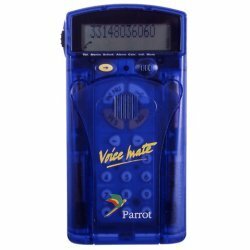 VoiceMate by Parrot uses the latest digital data storage and speech recognition technologies to provide a talking organizer with a wide range of features. The VoiceMate offers simplicity and ease of use. It is a compact and light weight device. Stores your phone numbers, memos and appointments. Recall the information with simple voice commands.